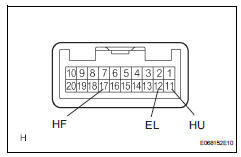 The body ecu controls the headlight relay, no. 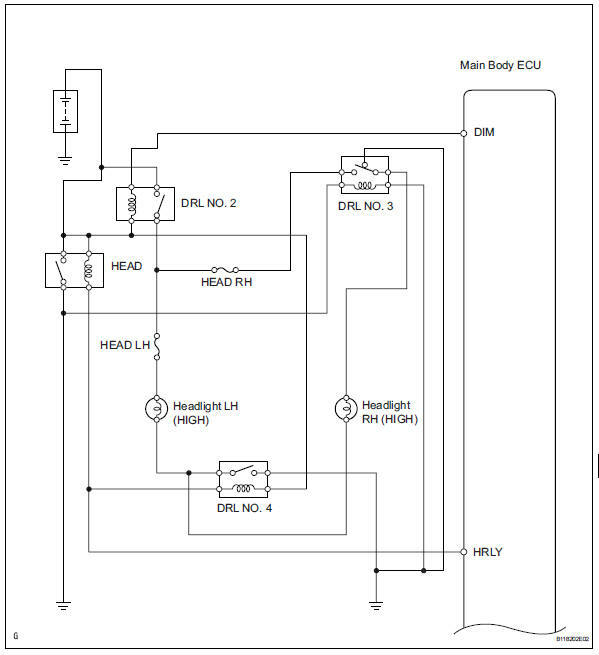 2 Daytime running light relay (marking: drl no. 2) And no. 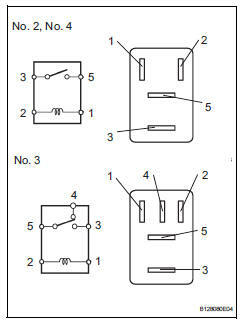 4 Daytime running light relay (marking: drl no. 4). Turn the ignition switch to the on position and press the intelligent tester main switch on. 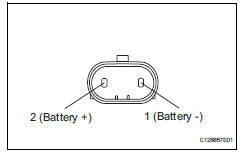 Select the item below in the active test and then check the relay operation. Ok: headlight (high) comes on. 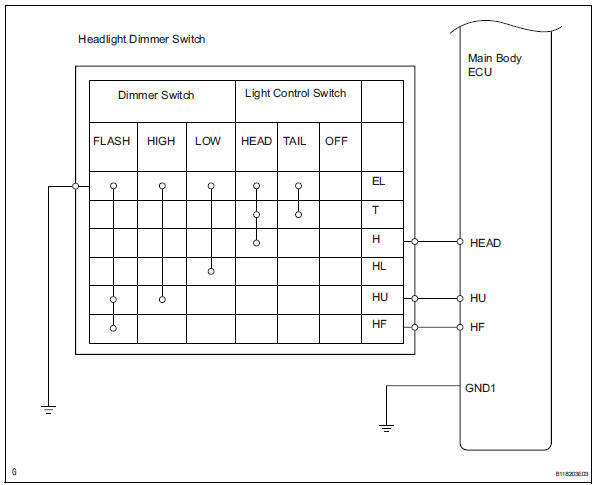 Check that the headlight (low) comes on when the light control switch is on (head). Ok: headlight (low) comes on. 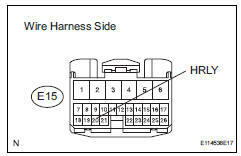 Remove the head lh fuse and head rh fuse from the engine room no. 2 Relay block. Remove the headlight bulb (high). Connect the positive (+) lead from the battery to terminal 2 and the negative (-) lead to terminal 1, then check that the bulb illuminates. Disconnect the e16 main body ecu connector. 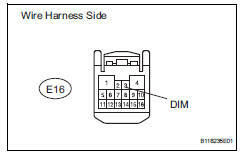 Disconnect the e15 main body ecu connector. Remove the no. 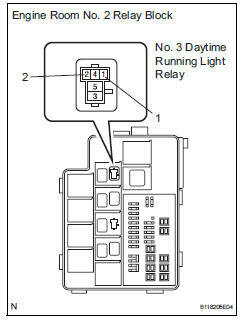 3 Daytime running light relay from the engine room no. 2 Relay block. Measure the voltage and resistance of the relay block. Remove the no. 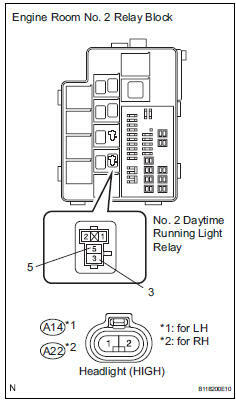 2 Daytime running light relay from the engine room no. 2 Relay block. Remove the a14 and a22 headlight bulb connectors. 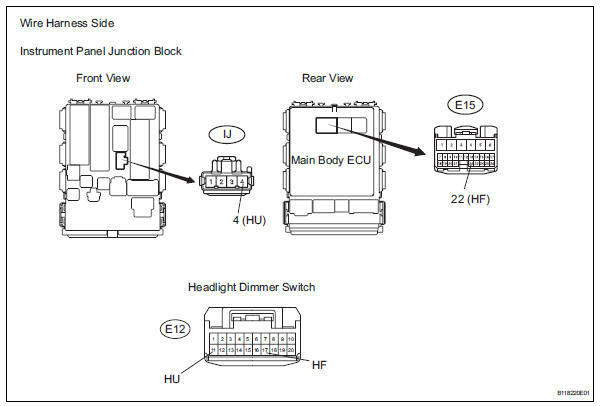 Disconnect the e12 headlight dimmer switch connector. 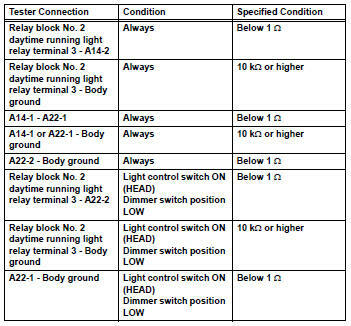 Disconnect the ij instrument panel junction block connector.